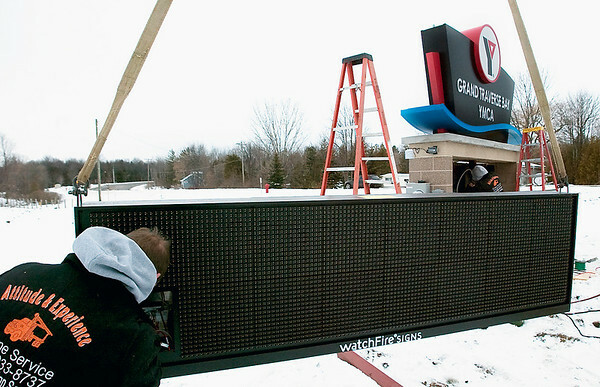 Jeff Orton and his son Josh install a new sign at the entrance to the planned YMCA off Silver Lake Road. The Ortons own the company doing the work, Attitude & Experience Signs & Service. Fundraising efforts continue for the new facility, with construction set to begin once the campaign has yielded $11.2 million in donations and pledges.